The Gaines are at it again with the newest addition to the family, Crew! 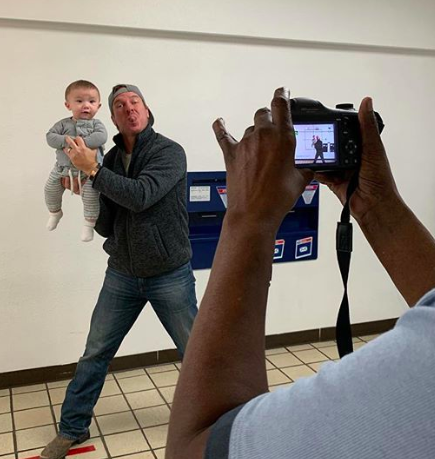 This time, Crew was getting his passport photos taken and the moment was documented on Joanna Gaines’s Instagram account. 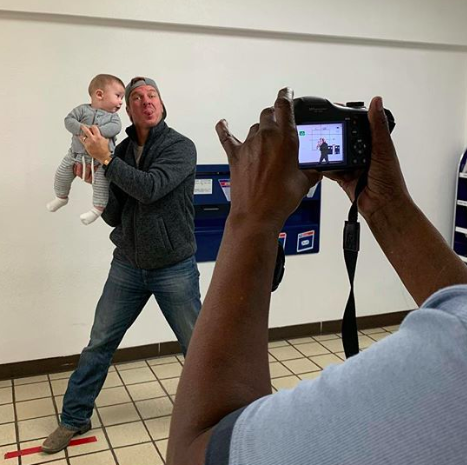 In the photos, you can see the behind-the-scenes action of Chip Gaines holding up his son in perfect position at the post office, getting ready to take his photos! It looked like Crew was having just as much fun as the parents were, flashing a big grin! While people are often told not to smile when getting passport photos taken, they surely gave baby Crew a pass. He’s just too darn cute! 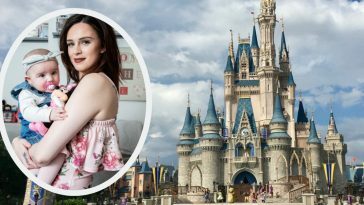 Take a look at the adorable photos below. “Baby Crew getting his passport photos! 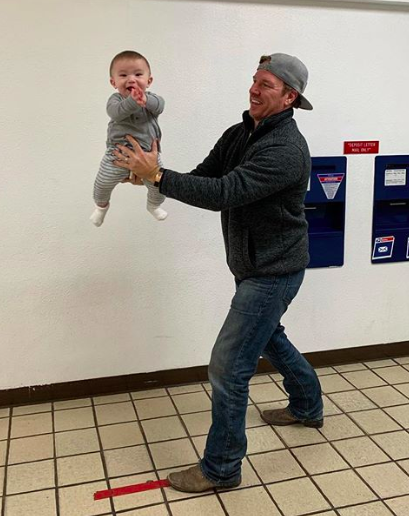 Nice work @chipgaines,” the caption to the Instagram post said accompanying the adorable photos. 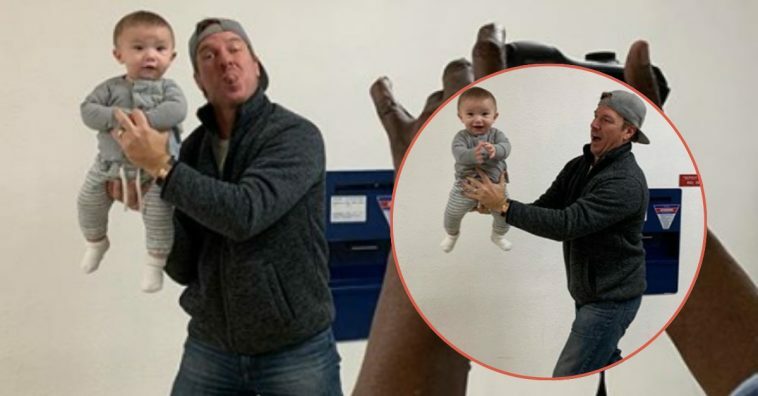 We cannot get over how happy and excited this baby is to get his passport photos taken! 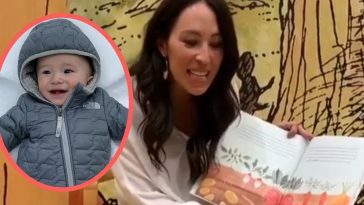 At just about 7 months old, he’s really stealing the hearts of people all over the Internet, especially fans of the Gaines family. 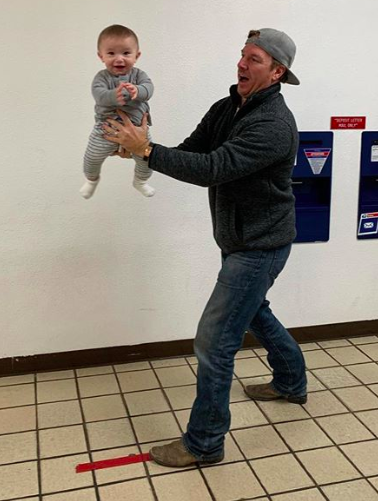 Then it was Chip Gaines’s turn to get a little goofy with his son, probably to conjure up one of those adorable smiles from baby Crew again! 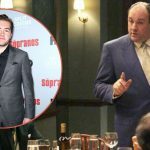 He is shown sticking out his tongue at the camera, but it looks like it’s more directed at Joanna! Oops! 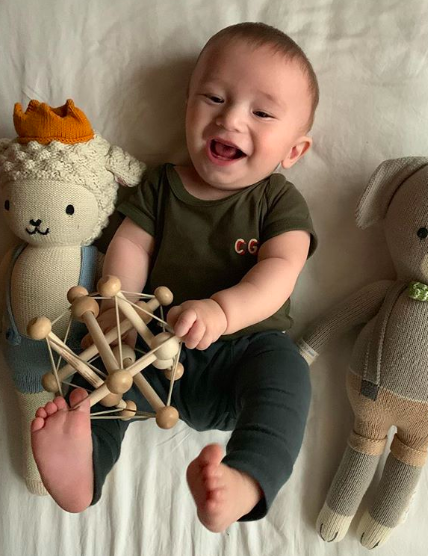 Now baby Crew is catching onto the jokes and he can’t help but look at his dad as if he’s trying to say, “hey, what are you doing?” It’s seriously some of the cutest father/son interactions we’ve ever seen! 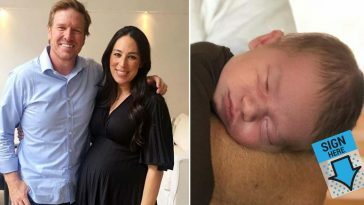 Crew Gaines was born on June 21st, 2018, and since then the Internet (and obviously his loving parents) cannot get enough of him! 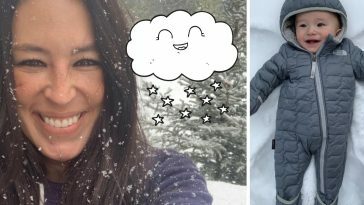 Joanna’s Instagram account is filled with adorable Crew moments and it’s a pleasure for everyone to watch him grow. Speaking of growth, he recently got his first two teeth! “He’s proud of his first TWO teeth!” a caption says on Joanna’s Instagram account accompanying some adorable photos of Crew’s toothy smile. 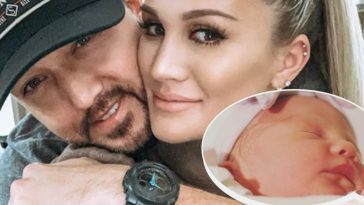 Crew Gaines joined the family of six as the two proud parents were already parents previously to four other children, Duke, Drake, Emmie Kay, and Ella Rose. 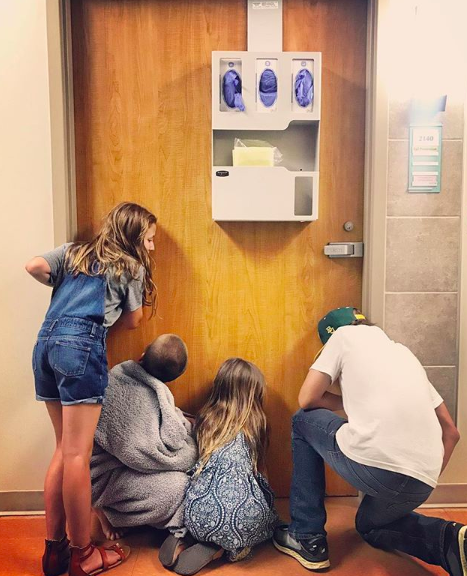 From what we can see on social media and from what the Gaines parents have told us all, the siblings get along great with Crew and have established a truly loving relationship with their little brother. 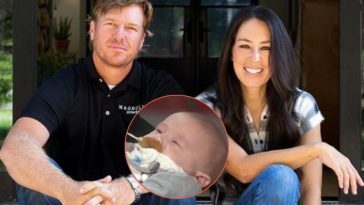 We can’t get enough of the Gaines family! 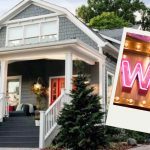 Be sure to SHARE this article if you loved these adorable photos of Crew Gaines!